Don't you know the Dewey Decimal System!?! One thing about 40k that sometimes isn't focused on as much, is that it really does bring in some fairly diverse concepts to the game. Amongst the starships and laser guns and space elves and whatnot, you've also got powerful psychics that can, essentially, use magic. At least, it's essentially indistinguishable from magic in the system. Well, for Space Marines, that psychic energy is usually wielded by Librarians. 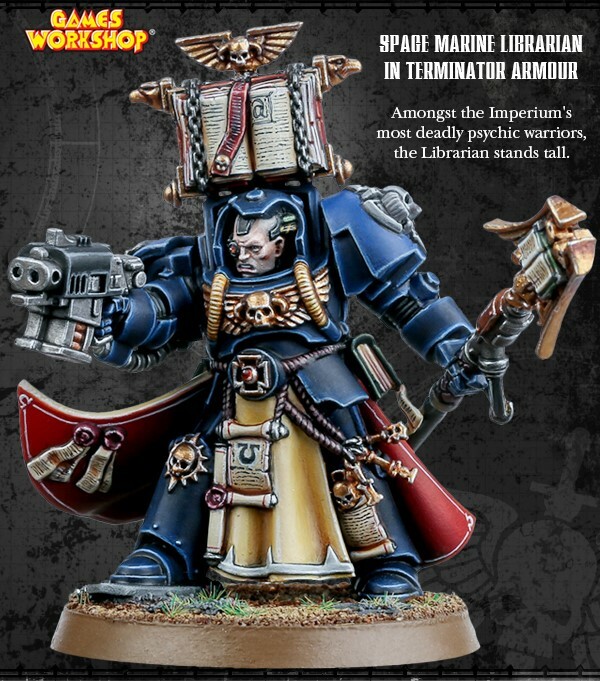 GW's taking orders for a new Librarian in Terminator Armor over in their webshop. Amazingly enough, this figure doesn't come with a hundred different armaments that you can put on him. 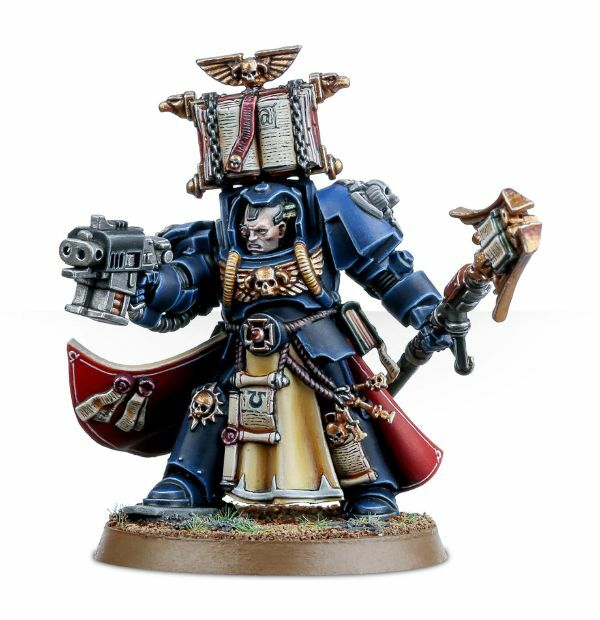 He's got a Force Staff and a Storm Bolter. If you don't want the Storm Bolter, there's an empty hand you can use instead. That's really it, except for various extra books or banners or accessories. Almost sort of strange, that.